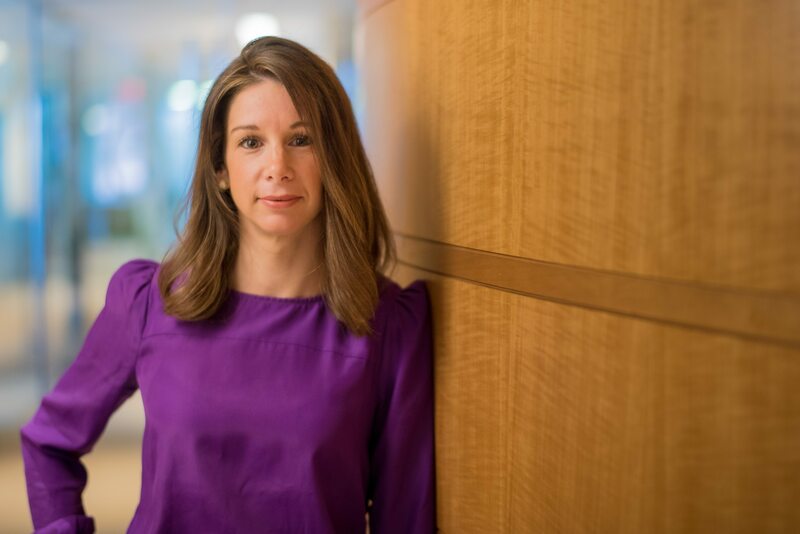 Meet Kristin Gunther, Vice President at Revolution LLC's Growth Fund, which mainly focuses on later-stage companies located outside of the Silicon Valley, New York City, and Boston. The firm, based in Washington, D.C., is led by Revolution’s founder, Steve Case, a well-known entrepreneur and co-founder of America Online (AOL). Gunther came onboard Revolution three years ago. Her portfolio companies include Scopely, a free-to-play mobile game platform in Los Angeles, and Revolution Foods, which, being a mother, she said she feels particularly close to, as the startup delivers healthy, nutritious meals for kids to schools and organizations. Formerly with Perseus LLC, Rothschild Inc., and CRT Capital Group, Gunther brings more than 10 years of experience in private equity and finance matters. She holds an MBA from the University of Virginia’s Darden School of Business and a Bachelor’s in Economics from Wesleyan University. Kristin Gunther: At Revolution Growth we focus on investing in later-stage startups that, either because of their technology or business model, are successfully attacking big markets and are therefore poised for explosive growth. Ideally, the companies we invest in are a bit off the beaten path, as we try to support entrepreneurial ecosystems outside of the typical SF/BOS/NYC hubs. One such example is our investment in Tempus, a Chicago-based company that uses big data to transform the way doctors treat cancer patients. We are also relatively sector agnostic – almost nothing is out of bounds from a vertical standpoint. VN: What are your categories of interest? KG: I like to focus on companies that creatively improve consumer experiences in commerce, healthcare, and media. VN: What is most important in a startup: the team, the entrepreneur, or the product? What do you look for in companies that you put money in? KG: For me, the most important factors are the team and the business model. I try to get a sense early on for whether the founder is self-aware, fully committed to building a big business, and able to recruit high-quality team members. Often, even the most experienced or impressive-on-paper founder lacks one or more of those traits. As for a business model, a company can have the best idea in the world, but if they are selling through the wrong channel or haven’t developed infrastructure to properly scale, that’s a problem. By the time they make it to us, they should have that figured out. Scopely, a free-to-play mobile gaming company in LA, is a good example that has both factors. The founder, Walter Driver, is incredibly driven to create a billion-dollar-plus company and has surrounded himself with some of the highest quality talents in the business. And, rather than focus on trying to create a hit game, which would be risky, or develop a particular game, which would be commoditized, the company focuses on the monetization layer that, through personalization and live operations, delights users so they will pay for items and access within the game. VN: What kind of traction do you look for in your startups? What series do you typically invest in? KG: While there is no hard and fast rule, we generally look for companies with a steady stream of revenue and consistent growth year-over-year. The company does not need to be profitable, but the unit economics need to be working and there should be a line of sight to profitability. This usually means we invest around the Series C, but we have participated in Series B and later. VN: How do you conduct your due diligence in evaluating a company? How long does it take, on average, for the evaluation, before you make an investment? KG: We start by reviewing the company’s deck, asking for some basic information, and speaking with management. If we like what we see, we present to our broader team, gather feedback on where we should focus our diligence, and then dig a few layers deeper. If we are still excited, we bring the company in to present at our office. Finally, if we feel really good, we’ll negotiate a term sheet. That whole process takes about a month or so. Post term sheet, we perform confirmatory diligence, which can take another 2-4 weeks. That is a key differentiator for us – if we give you a term sheet, we are good for it unless something comes up that is inconsistent with the information we were presented with. Unfortunately, some VCs don’t operate that way and it can leave companies in a lurch. VN: What is your typical investment range and how much do you set aside for follow-on capital? KG: Our typical investment size is $20 million to $50 million and we reserve additional capital to further support our most ambitious companies. Occasionally, we will write a smaller check in a company outside our strike zone as a way to get a toehold into a company where we want to see more cards. KG: Our current Revolution Growth fund is $525 million. Across Revolution, our funds total $1.3 billion. VN: In a typical year, how many ventures do you invest in? KG: We typically try to invest in three to four companies per year, or one a quarter. We like to take a hands-on approach and collaborate with our companies at every stage of their cycles. VN: Is there a typical percent that you want of a round? KG: We keep our range flexible as the percentage varies depending on the company, industry, and size of a round. VN: Describe a company that you were a part of that you see as one of your top projects. What was your role and how was this company different? 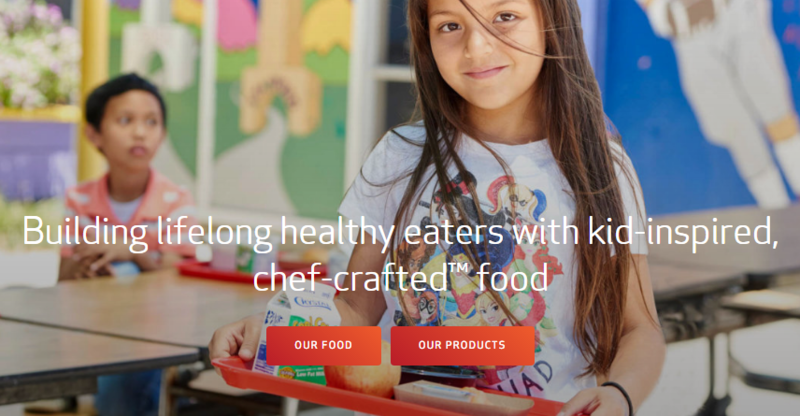 KG: I work closely with Revolution Foods, which provides healthy meals to schools and communities around the country. I love this company because, as a mom with an elementary aged child, I know how much of a difference nutrition makes in a child’s behavior and his or her capacity to absorb information. It has been a joy to work with the team there as they think through how best to expand geographically and in their product offering. I am a board observer with the company and my role is primarily to support the CEO as needed for capital raising, strategic discussions, and financial guidance. Often, CEOs need someone who is not on the board or within the company that they can bounce things off of, and my role at Revolution Foods is a good example of that. Recently, the company had a gap in its CFO function, so I helped interview candidates and also stepped in as needed to assist with some of those duties. VN: How did you come to join Revolution? KG: The last fund I worked at wound down due to the passing of its founder, so I took a little time off to be with my young children but quickly knew I wanted to get back to investing in promising companies. A friend offered to introduce me to Revolution and I immediately gravitated towards the energy and values of the firm. I admired the investments they had made to date and was really excited about helping to find the next crop of high-growth companies. VN: Tell us more about your background. What led you to the venture capital world? KG: I’ve always been interested in finance and investing. After majoring in Economics at a liberal arts university, I began my career as an analyst at Rothschild Inc., where I worked in both M&A and Corporate Restructuring. It was a recessionary period, so I worked on a handful of big bankruptcies and the learning curve has never been steeper in my career. I wanted some exposure to the public markets, so I joined CRT Capital Group, where I used my restructuring knowledge to analyze the full capital structure of companies and make trading recommendations. When the financial crisis hit, I went to business school and, in reflecting on my career, I realized that I wanted to spend more time effecting change and helping companies to grow, rather than just be involved in transactions. After getting my MBA, I joined Perseus LLC, a middle market private equity firm focused on consumer, healthcare, and energy. I absolutely loved analyzing and performing diligence on new investments and spending time working through challenges the companies were facing. For one company, I was dropped in as CFO for nine months while they searched for a new one, and that operating experience was quite invaluable. While VC has been different, given the earlier stage, a lot of those problem-solving and operational skills have transferred well to my role at Revolution. KG: I love the challenge of tackling new problems every day and helping to create value for the companies I’m working with. No day is the same in private investing – one day you’re helping to solve an equipment failure at a factory and another day you’re negotiating a purchase agreement. It’s also been exciting to watch as some of these nascent technologies and applications like blockchain and precision medicine get enough traction to attract capital at our stage.